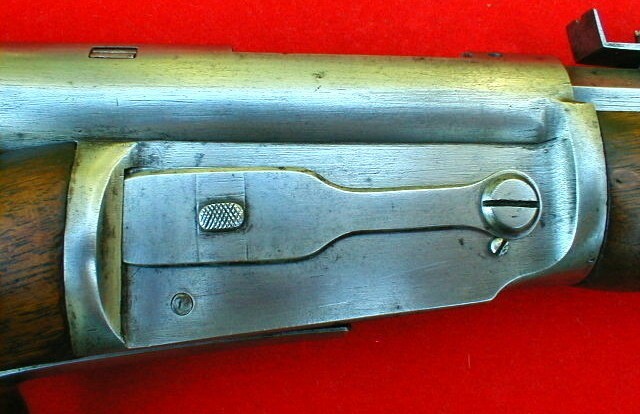 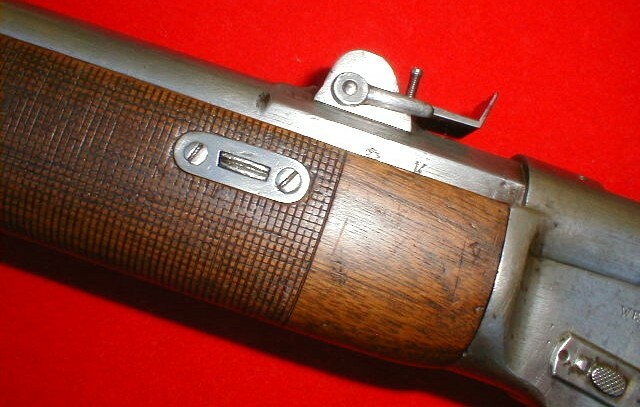 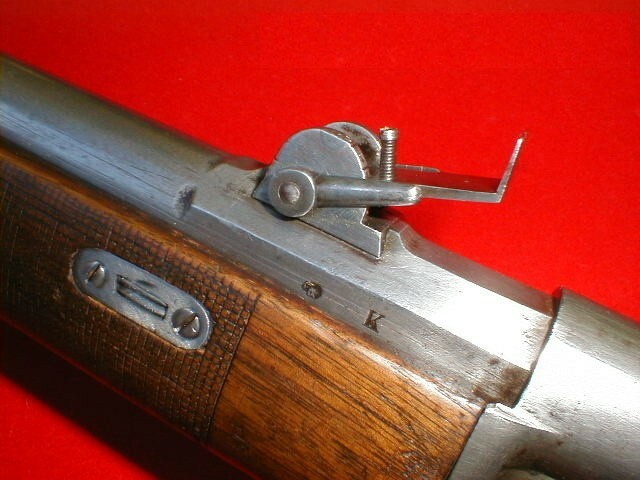 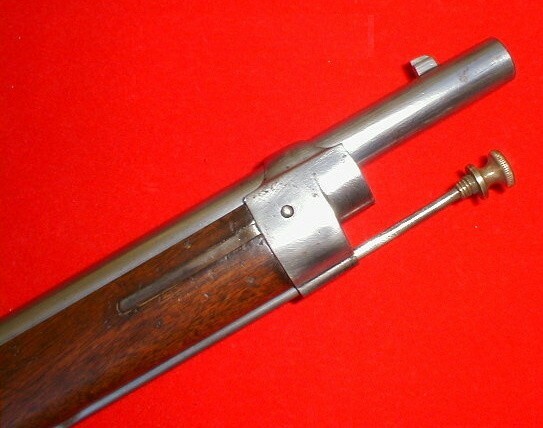 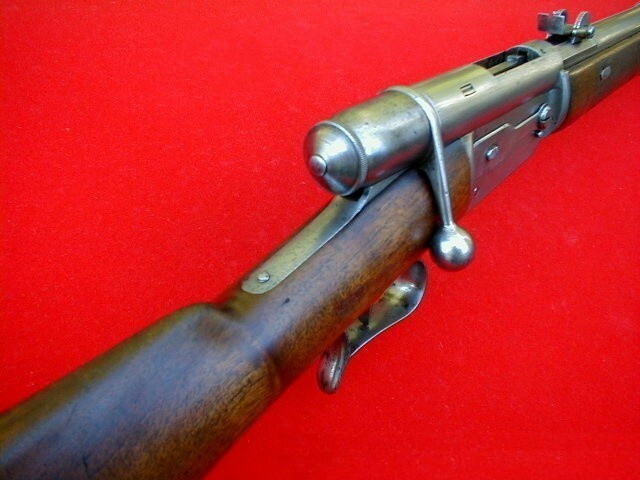 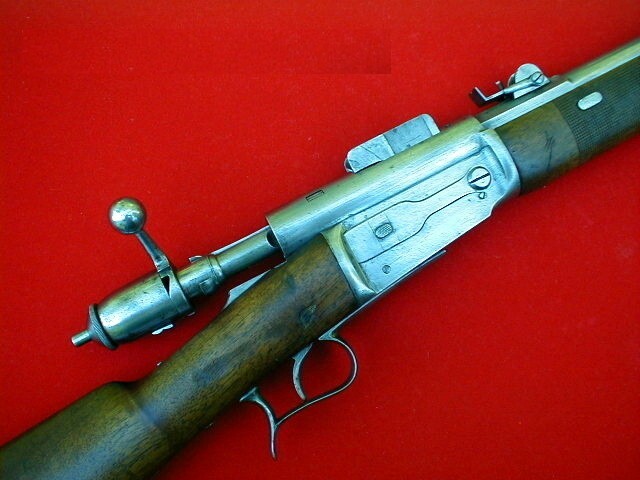 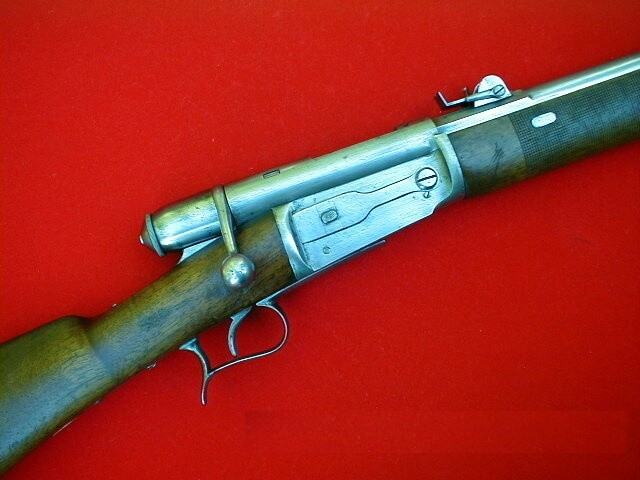 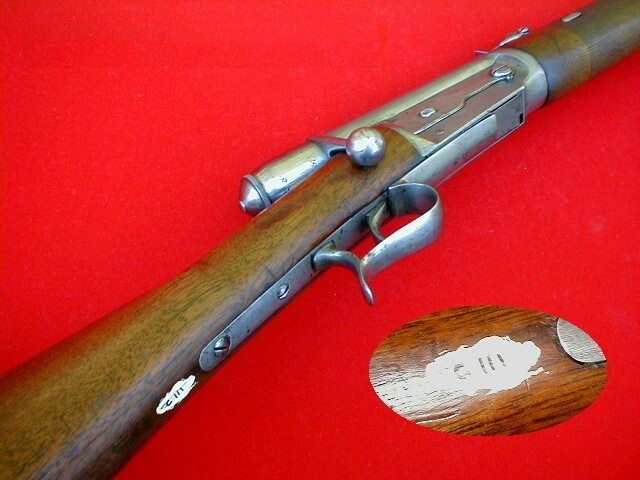 This Vetterli is a model 1869 or 1870 civil, the rise is first model 1863 and used until 1869, but one added a butted screw there, the cleaning-rod is not origin. 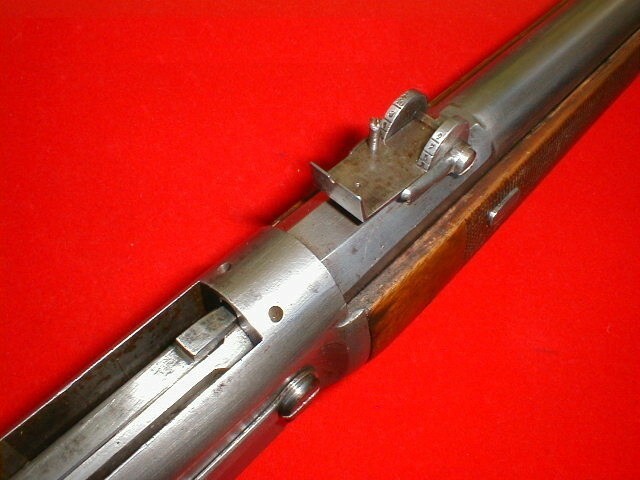 It always has cover breech, the protection of the door of loading and the selector for the ordering of repetition. 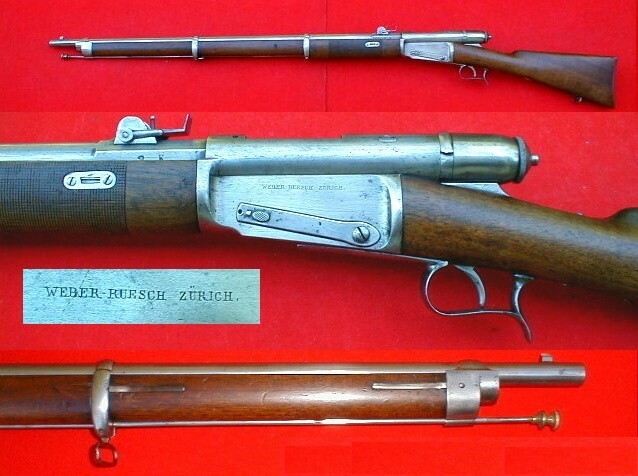 The arms manufacturer “Ruesch Weber” did not form part of the military manufacturers, but it got certainly the parts finished or semi-finished near the arsenals, practical which was common in Switzerland. 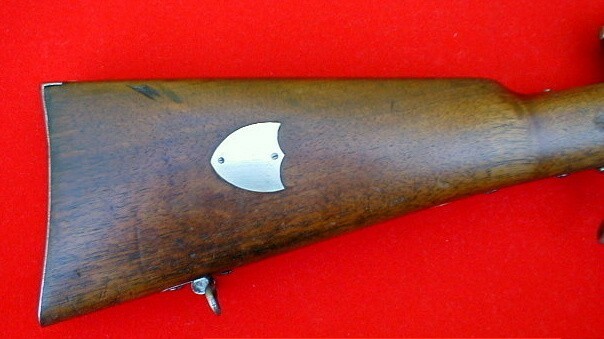 It was common that certain soldiers and civil use their own moneys to buy their weapons deprived with an aim of making shooting and of taking part in the contests. 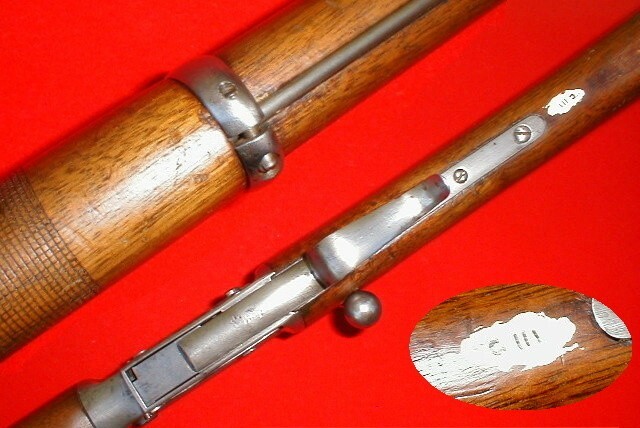 It is certainly about Casimir Weber, arms manufacturer places station to Zurich about 1912. 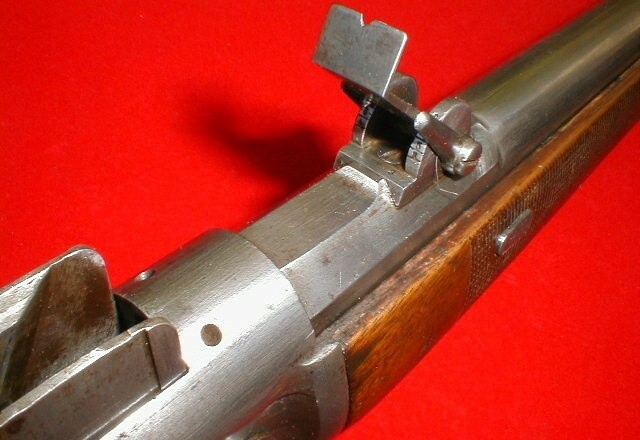 It was frequent then to find associations of people continuing of the goals common or wishing (already) to benefit from a synergy in their trade. 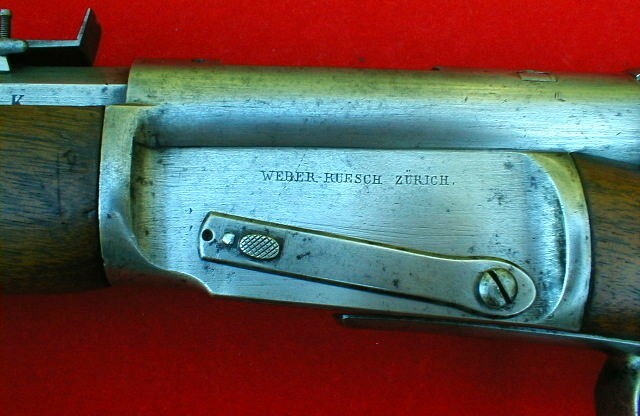 This same Weber would have been the initiator and the importer of the Francotte pistols with Glaser of Zurich. 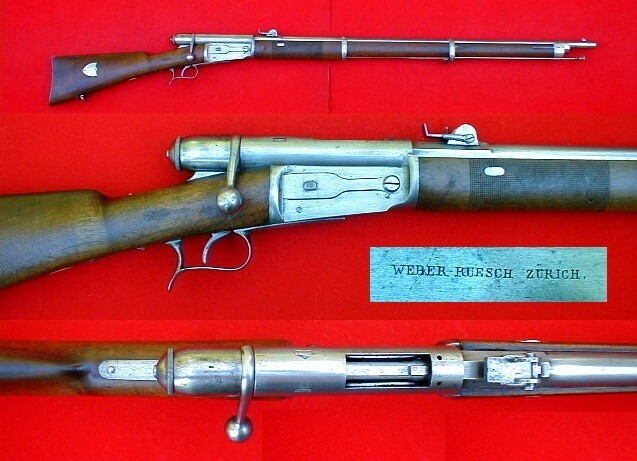 However, association Weber & Ruesch are unknown for me, but I seek.